Please fill in your details below and one of our agents will contact you. "Donâ€™t become a statistic this Easter," says the Automobile Association who is appealing to South Africans to be vigilant and focused on our roads during the Easter holiday period. Germanyâ€™s motor vehicle authority KBA is investigating Daimler on suspicion that 60 000 Mercedes cars were fitted with software aimed at tricking emissions tests. 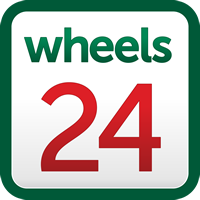 Wheels24.co.za | Considering a second hand SUV? Here are the 10 best buys in SA today! When shopping for any vehicle, itâ€™s vital to consider resale value. Now, for the first time, the sports utility vehicles (SUVs) with the best resale value can be revealed! In the market to sell your vehicle? Simply register free of charge and list your vehicle.